I've been wanting to get started on this micro fishing deal for a while. Some of my issues with starting have been finding the right places to fish this way. Throwing a micro sized setup into a large reservoir like Wehrspann feels sort of hopeless. It may yield some fish, but not any new species I'm aiming to catch. I have been stuck at 49 Nebraska species for most of the year, I've settled on the fact that I'll need to go small to have any chance at catching some new species, other than a couple trout and some river or stream species. I've read Nebraska has close to 100 species of fish. I think roughly 30-40 of them will be the minnow sized species. So I've been reading up on people that fish this way. I decided that before I go buying any specialized gear, I'll just use what I already have or buy things locally available as I get started. 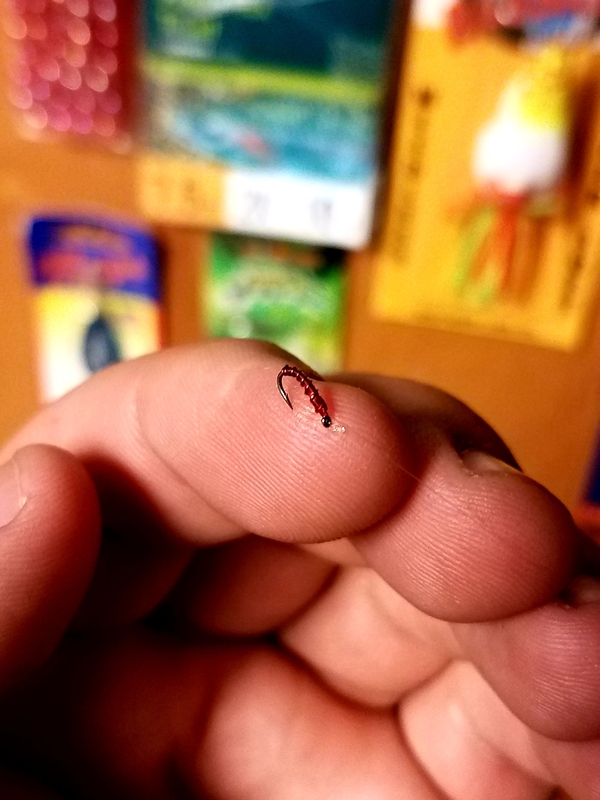 I went and bought some size 22 nymph hooks, a lot of people just tip them bare with worms, and put them under a tiny bobber. I have all this fly tying stuff now, so I wrapped the hooks with red thread and then with red wire, hoping to give them some attracting qualities to these little fish. This is very similar to what I did to catch Gizzard Shad, but I did not use worms. I have been pinning possible locations over the winter, I have a few that I think will produce some fish, but it has been a bit harder doing this during winter. I actually took an icy swim recently trying to ID some tiny fish just beyond my reach... My parents have a mostly spring fed creek running through their place outside of Table Rock, so last weekend I went down to the creek between Christmas meals and did some scouting. 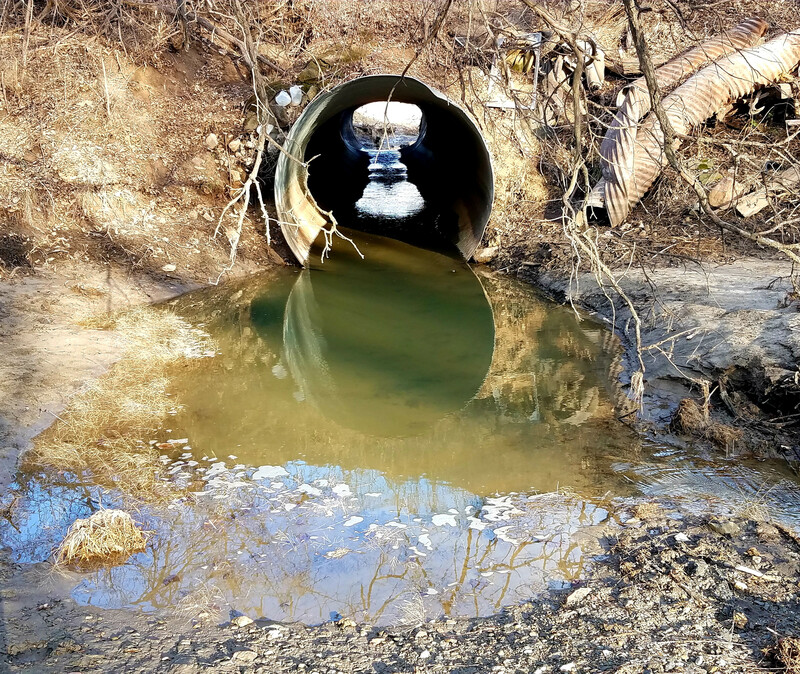 I always see fish in the creek when I'm working there or hunting. Dad thought there was a beaver dam still there but it was gone, I was really hoping to fish below it. So I walked to the tube under the road and tiny fish went every direction. Grabbed my rod and gave it a try. I rigged up my little ultralight with a swivel tied to the main line, then 2 feet of 6x mono tippet on the swivel to tie the hooks to. 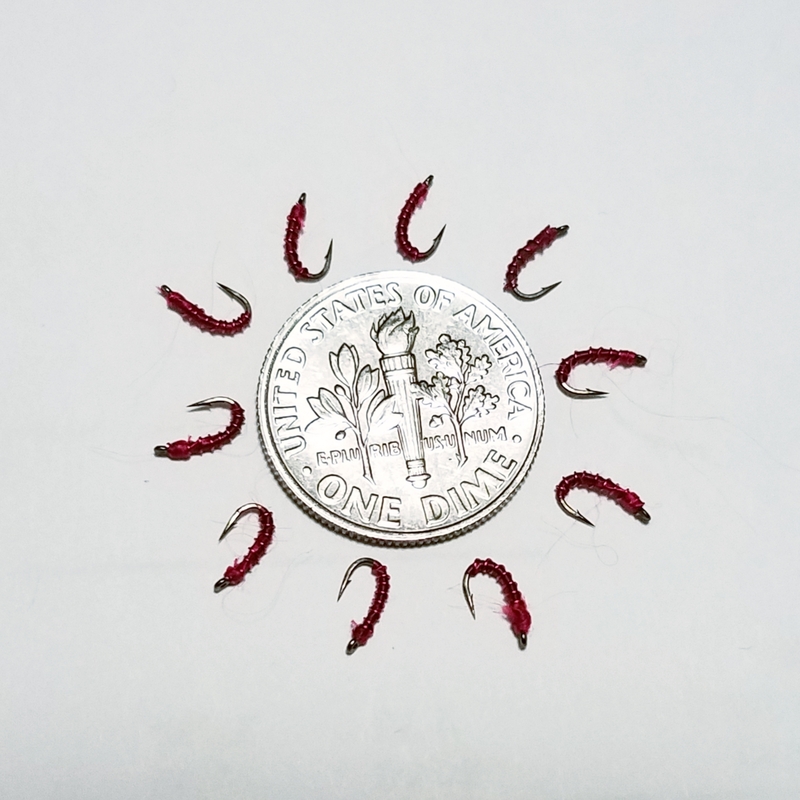 I also tried to tip the hooks with parts of worms, which was a challenge. Cast into the tube and let it float through the fish in the pool below the tube. I ended up catching over 20 tiny fish doing this. So my first trip was a success. I plan to use my fly rod for most of my micro fishing, but the ultralight setup worked fantastic in the small space. 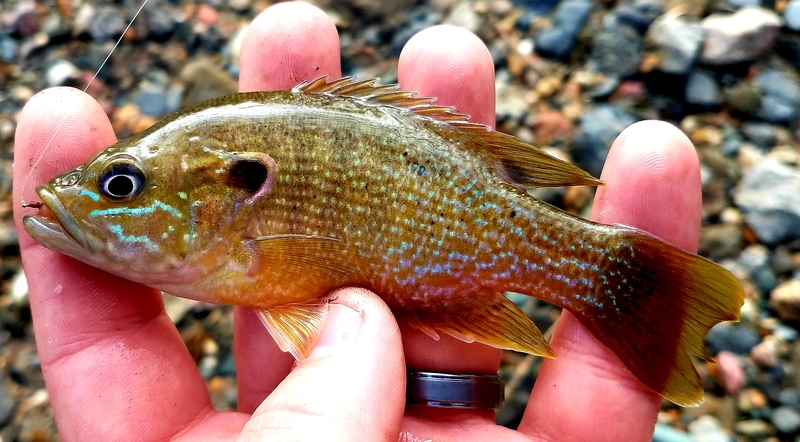 I only caught Green Sunfish and Creek Chubs. I had never thought to rod and reel for the fish in that creek before. My family couldn't believe I actually caught something, and really, I was surprised to find some fish too, gave me hope for future micro fishing adventures. Several years ago I was fishing summit from a float tube. I'd had my fill of crappies and gills and wanted to mess around a little. I tied a couple of fairly large (size 12) beadhead zebra midges under an indicator and proceeded to have fast action on golden shiners. 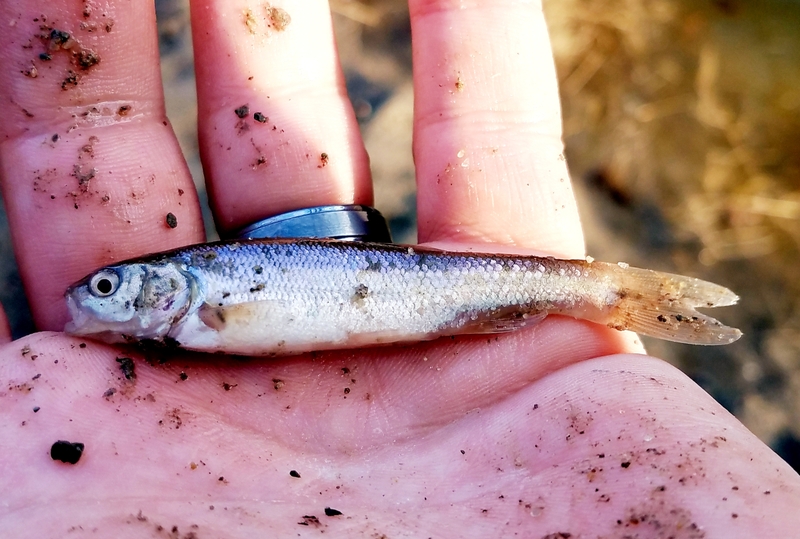 I was catching shiners in the 3-5 inch range and I remember thinking that that could be a great way to catch live bait if I was a bait fisherman. Interesting how the different fish species want very different foods. Yeah, those are small fish, but actually that is pretty cool! If size 30 is what it takes to get one, I'll do it. Hoping a few of the places I've picked out along the Missouri and Papio Creek have some of these new fish. It's going to be great seeing you with the new state record darter! Keep everyone posted! My first trip was fun. Hopefully some spots closer to home have fish in them too. I don't know why, but this sounds pretty fun and more interesting than targeting large fish. Maybe because I am already proficient at catching small fish. lol. I may look into this further. Thanks for sharing. Let's see a list of what you did catch, maybe we can help with some more. Red Shiner is one I really want to catch and get good photos of. 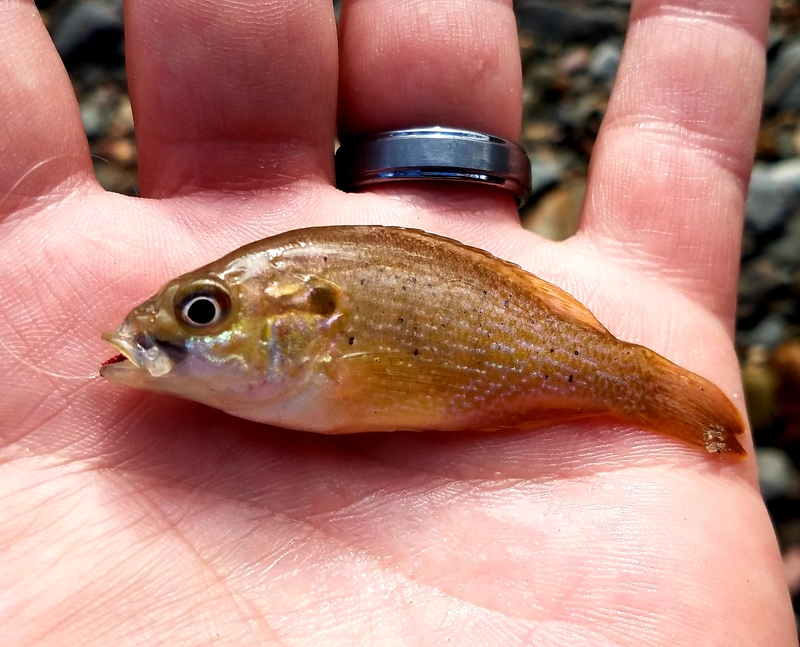 I used to catch them in minnow traps, took me years to figure out what they were called. Very pretty fish. Those little fish remind me of the flathead chubs and red shiners I used to catch from the creek near my grandparents house when I was a kid. I thought the male red shiners in breeding colors were the prettiest fish there were, a real trophy at the time. I used the smallest hook I could find and small piece of worm. A 3-4 foot section of line tied to a willow stick and I was in angling heaven! That was 60 years ago. I supposed a person could still catch those species in that creek. Cool! Might have to give that a try! Wow... I think this is so cool... But I have a couple of problems, I'm 50 (which is actually an entire basket of problems, but I digress), so I can't see small things very well at all. To work with hooks and line small enough to make this work, I would need serious eyewear, which can be difficult to haul into the field. But one point I want to make here, is that successful micro fishing can lead directly to successful MACRO fishing. I once caught some golden shiners up on the Missouri River, and they were the most magical bait I've ever used. They were spawning, and the Smallmouth and Walleye could NOT eat them fast enough. I can guarantee you those chubs will work better than the ones you buy from the bait dealer.